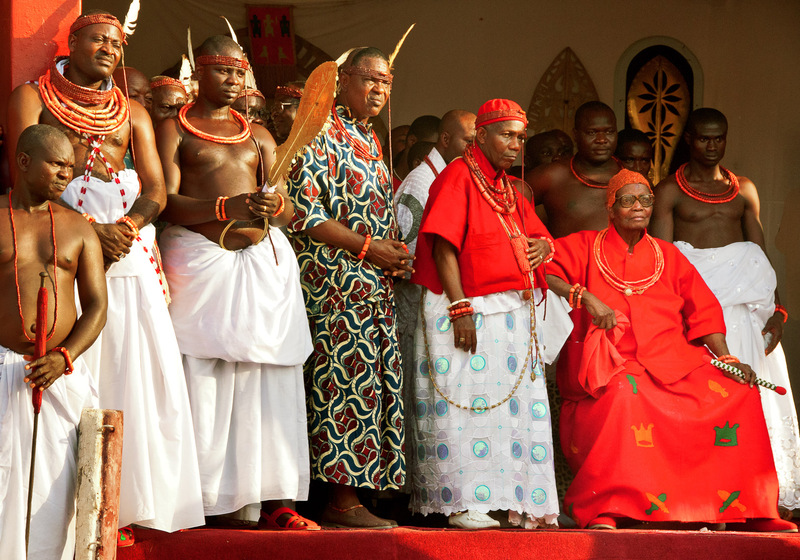 Oba Erediauwa of Benin sits in state surrounded by chiefs and royal courtiers. He was educated in both Nigeria and England before he was crowned as the thirty-ninth traditional head of state of the Benin kingdom in 1979. In 2016 the Oba joined his ancestors.